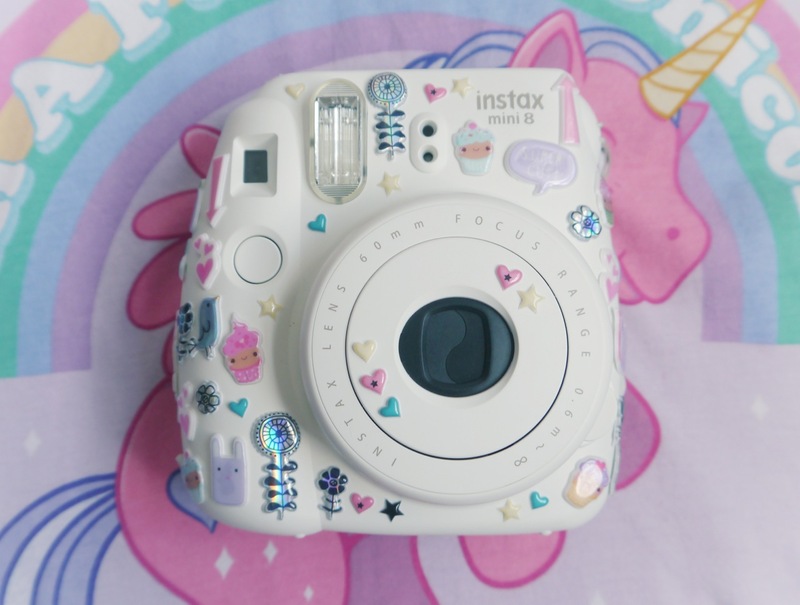 If you follow me on instagram you'll know that I recently got a Fujifilm Instax Mini 8 polaroid camera as a present from my mum before I go on holiday on Friday (eeek not long now!) and it's so cute I just had to share it with you lovely lot. I opted for the white version as I wasn't keen on the other shades, the pink is quite wishy-washy and the turquoise is quite bright, sooo I opted for this one with the idea of customising it (i.e. covering it in crap) when it arrived - and that I did! 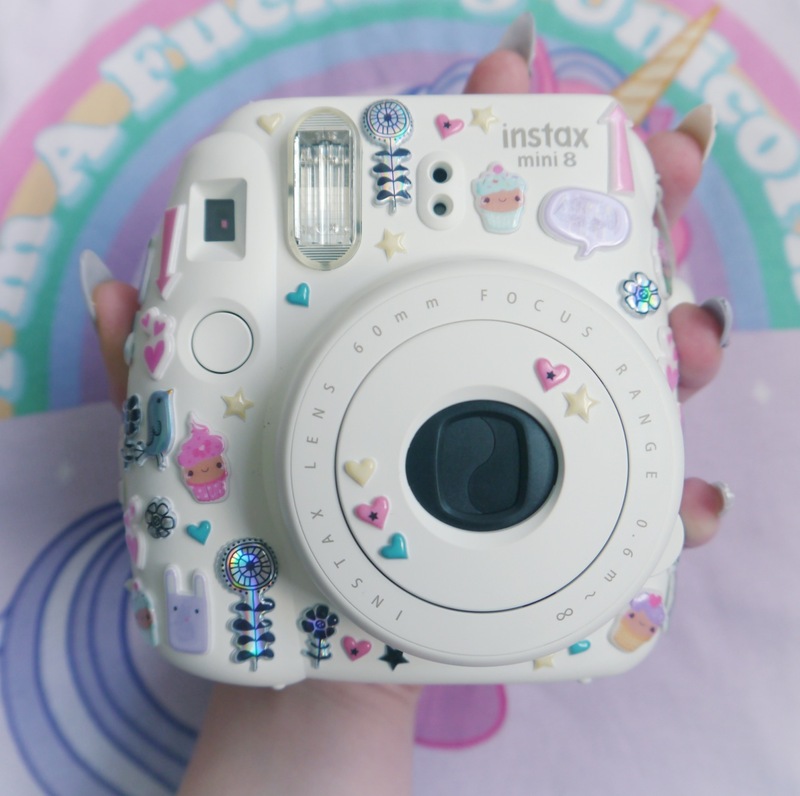 I know not everyone will be a fan but I just love how kawaii and 90s the final outcome looks and I can't wait to take some cute snaps with it when I'm away! My friends got me the 7 for my birthday, I love it! Have you taken any photos yet? I hope you enjoy your holiday! Ugh I neeeeed one of these. I really do. Do you know how much film is? Ugh I really want one!!! I'm so jealous I have wanted one of these for ages! Love how you have customised it! 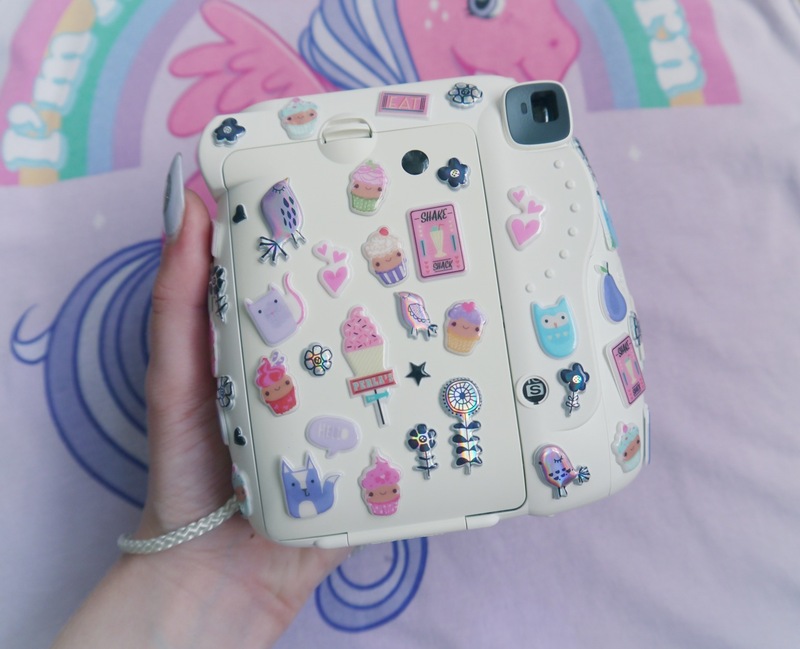 super cute, always wanted one too. though i have a habit of deleting photos like crazy - id probably end up tearing/destroying a lot of photos. Visit My site : Find your indian partner online Browse girls's of latest pics. Click here to next website: It is about free girls dating 100% free to contact other me at all times.